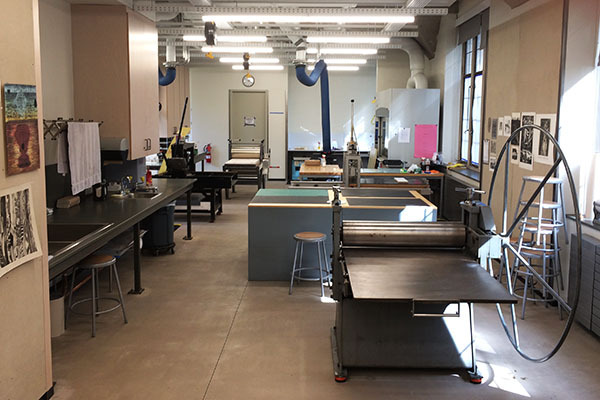 Dactyl Press, the Art Department's Printmaking studio, is located on the 3rd floor of Pendleton West (PNW 312). The studio has a variety of presses and other equipment necessary to make lithographs, etchings, wood cuts, and many other kinds of prints. A dark room dedicated to print processes is located at the back of the studio. A dedicated studio for papermaking and screenprinting is located on the first floor in PNW 103.